I had return clients Po Wang his family and friends for a total of seven people on Saturday the 21st @ Don Pedro. I arrived at the lake to only find socked in fog. They called me and said that they were running late and I told them that that was fine because of the heavy fog. When they arrived the fog had lifted to good visibility, so I launched the boat got everyone onboard and a way we went. I set out our rods and it wasn’t long and we began catching fish. The day was cold and foggy, we never did see the sun, but I had the top up along with the side curtains and that made it much warmer. 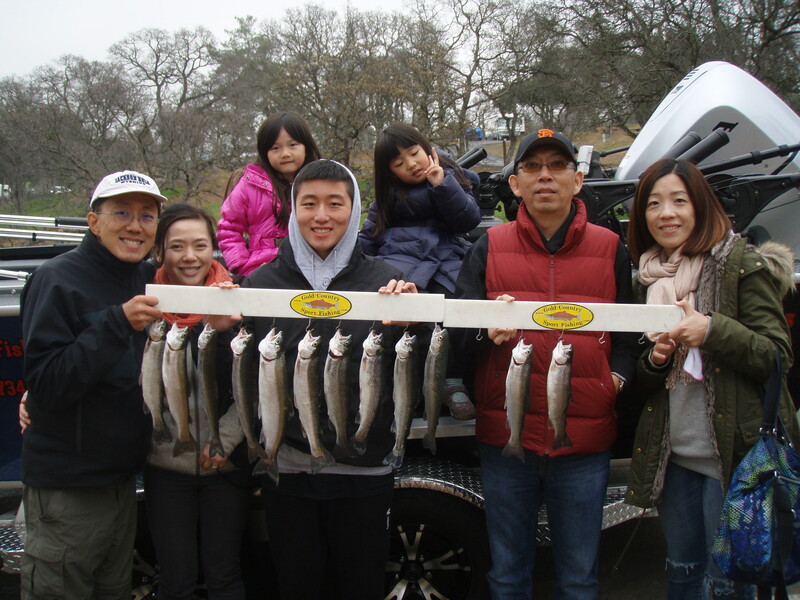 We fished until just before 2:oo and they landed 12 rainbows and lost three others with a few missed hits. 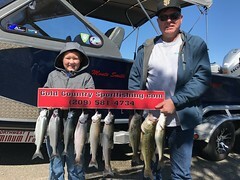 The fish on this day were hitting vey lightly and some times it was difficult to detect a bite. 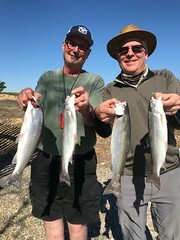 Still a great day on the waters of Don Pedro with great people. 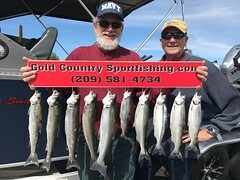 This entry was posted in California, Don Pedro fishing guides, Don Pedro Lake, Gold Country, Gold Country Sport Fishing, Trout, Winter Fishing. Bookmark the permalink.